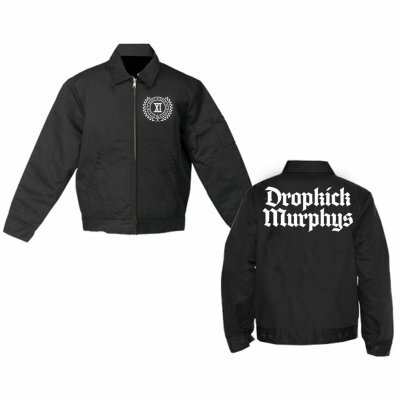 Dropkick Murphys Limited Edition Crest Logo Flannel-Lined Work Jacket. This is handstitched in California with a soft flannel liner and cotton twill outer shell. The front pocket is embroidered and the back is printed with high density plastisol for durability. This is only available for a limited time in this style due to the handmade nature and longer turn times needed.